Out of Earshot offers a reconfiguration of three of the nineteenth century’s most prolific painters: Winslow Homer (1836–1910), Thomas Eakins (1844–1916), and Thomas Dewing (1851–1939). Asma Naeem considers how these painters turned, in ways significant for their individual artistic ventures, to themes of sound and listening throughout their careers. 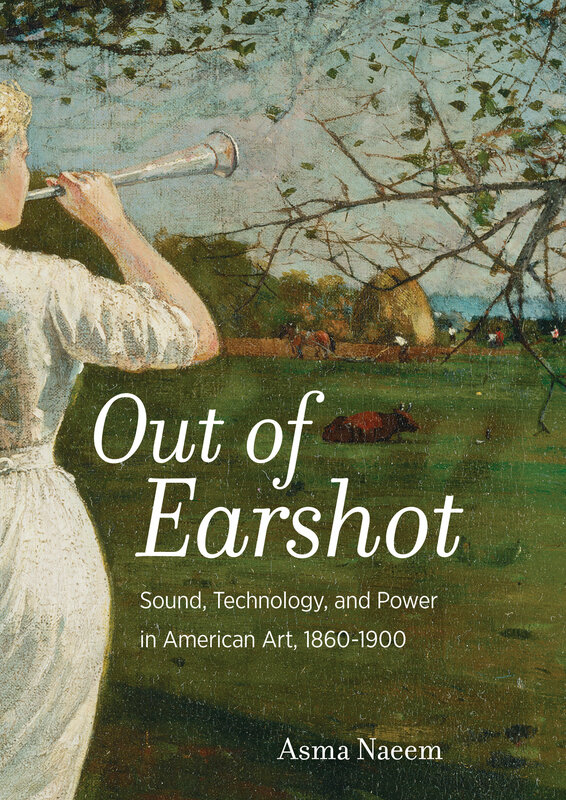 She shows how the aural dimension of these artists’ pictures was an ideological product of period class, gender, cultural, racial, and technological discourses. Equally important, by looking at such materials as the artists’ papers, scientific illustrations, and technological brochures, Naeem argues that the work of these painters has complex and previously unconsidered connections to developments in sound and listening during a period when unprecedented innovation in the United States led to such inventions as the telegraph and phonograph and forged a technological narrative that continues to have force in the twenty-first century. Naeem's unusual approach to the work of these three well-known American artists offers a transformative account of artistic response during their own era and beyond. Asma Naeem is the Eddie C. and C. Sylvia Brown Chief Curator at the Baltimore Museum of Art. She is the author and editor of Black Out: Silhouettes Then and Now.